We are a reputed Manufacturer, Exporter and Supplier of Solvent Red 24 from Maharashtra, India. 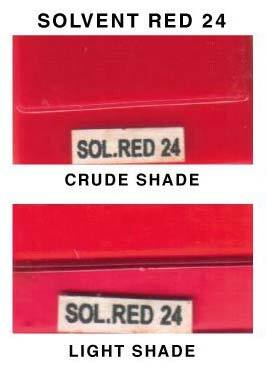 The Solvent Red 24 that we make available has accurate composition and is free from any kind of impurities. Proper quality tests are conducted by our experts to ensure their consistency. We cater to the bulk orders as well and make them available on time.